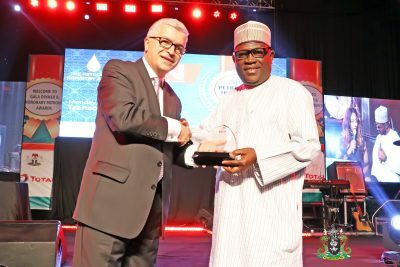 The Managing Director of the Nigerian Ports Authority (NPA), received an Award for Excellence from Foreign Investment Network (FIN) for her contributions to the Maritime Industry during the 2019 Petroleum Industry Award in Abuja. The Representative of the Managing Director, Nigerian Ports Authority (NPA), the General Manager, Corporate & Strategic Communications (C&SC), Engr. Adams A. Jatto receiving the award from the Chief Executive Officer (CEO), Foreign Investment Network (FIN), Michael Dragoyevich during the event. 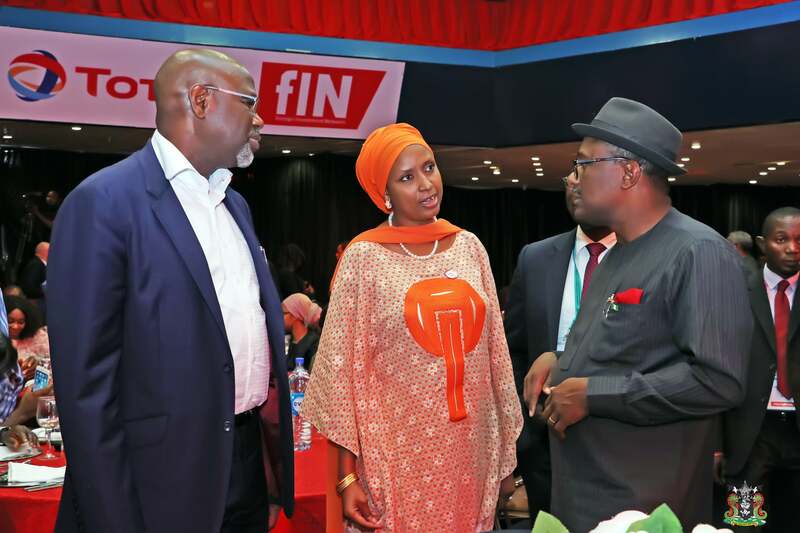 The Managing Director, Nigerian Ports Authority (NPA), Hadiza Bala Usman (middle) who briefly attended the event, the Deputy Managing Director, Deepwater District, Total Nigeria Limited, Ahmadu Kida-Musa (left) and the Executive Secretary, Nigerian Content Development & Monitoring Board, Engr. Simbi Kesiye Wabote (right) during the event.